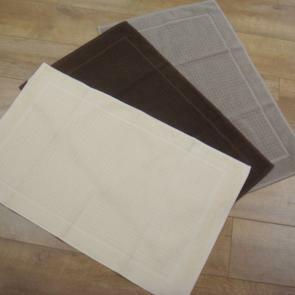 Adding to both comfort and design, spa bath mats are a great way to add that additional touch to a bathroom space. Our coloured bath mats add a splash of colour to any area and are available in a number of colours to suit your theme. Practicality wise, they’ll treat feet with a luxurious softness whilst also absorbing and keeping water off the floor for a far safer environment.